After a very mild February, we have to bear the last days of winter in Vienna right now. This gives me the chance to wear a few winter looks before they have to stay inside my closet for a few months again. I never got to show you this great faux fur coat, so I finally had to do it now. Yes… it is FAKE FUR! I would never ever wear real fur and I urge you to not do it either; there are a lot of great fake fur pieces to wear instead. 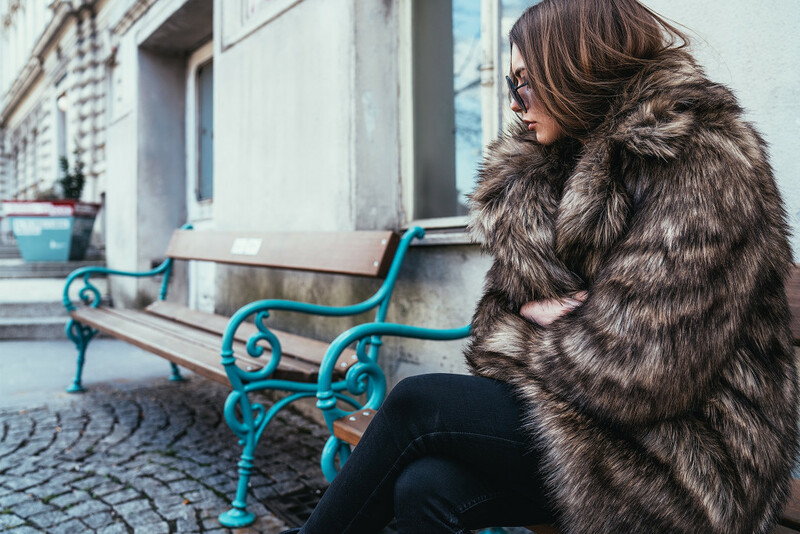 I think the Elya coat from All Saints sets a good example for how fake fur can look really gorgeous on you. Plus, it will keep you cozy and warm, but without animals having to suffer for it. I combined it with my favorite Levi’s skinny jeans and my All Saints Delphi boots. You’ve already seen both in my last look; for me, these items make such a perfect everyday style that I had to show them to you again.